Insert website titles into links. 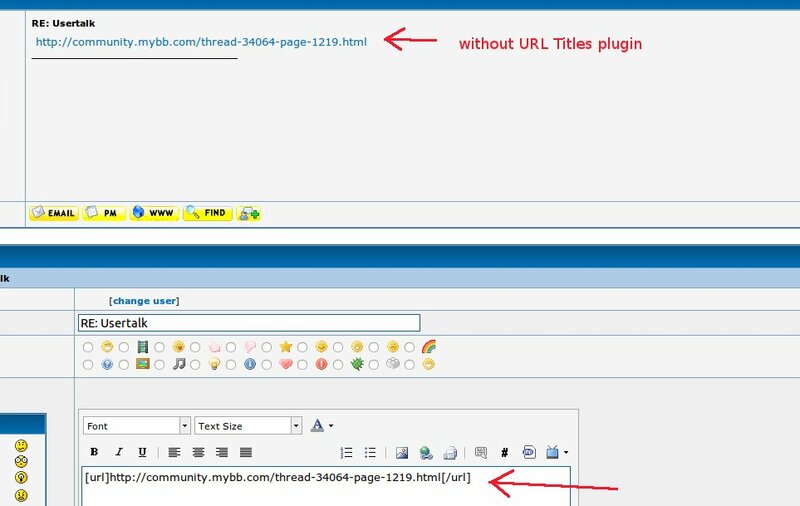 Upload the plugin to your forum root (ensuring the folder structure is followed). Go to your "AdminCP Configuration - Plugins" and click "Install & activate" behind "URL Titles". Upload the plugin to your forum root (ensuring the folder structure is followed) and overwrite the existing plugin files. The plugin only works if cURL is enabled on your server. You should have received a copy of the GNU General Public License along with this program. If not, visit GNU General Public License for more information.